$23 - Adored from the moment she puts it on, this V neck tee comes from T2 Love for your tween girl. 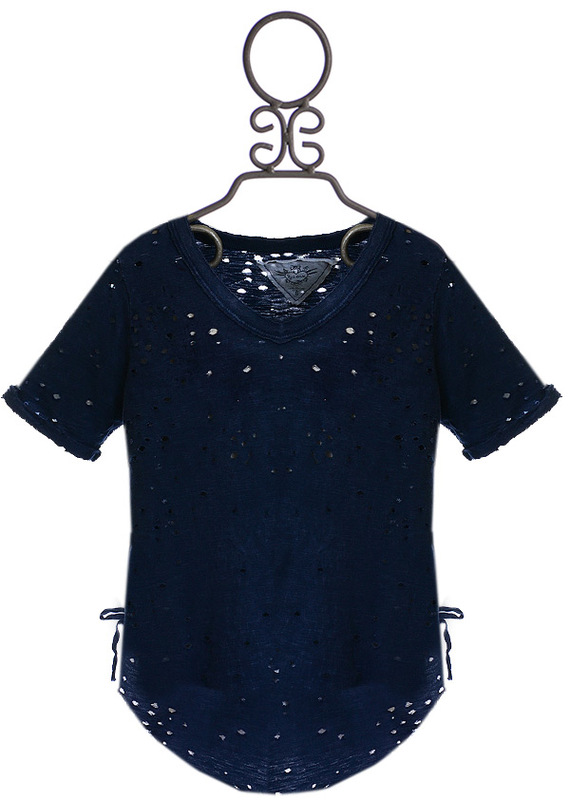 The gray tone navy is cut for an oversized fit and features small cutout holes, making it perfect for layering. Short sleeves and the ray hem are the perfect small details that make this piece as wonderful as it is. The sides are laced up and finished with bows. 100% Combed Cotton. Machine Wash Cold, Tumble Dry Low. Made in the U.S.A.